I've been following Aimee Song from Song of Style for a while now. The Californian born Korean has the right mix of LA cool, Hippie chic and City edge. And with that body and tan, you'll have a crush on her too! ps. 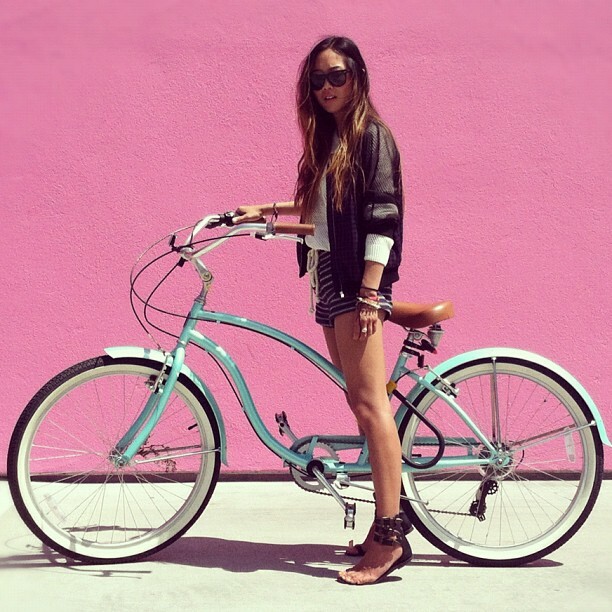 Any clue on where can I find a retro turquoise colour cruiser bicycle like hers?